Lovely photographs of beautiful geese, Andrew! 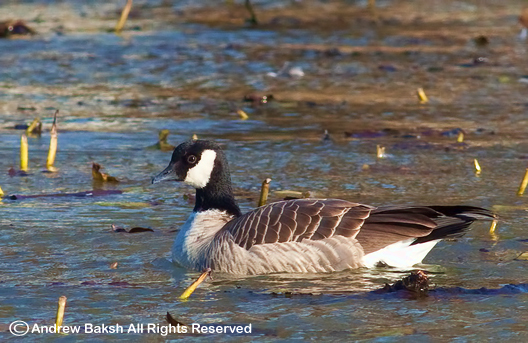 Thanks Julie, one is a Richardson's Cackling Goose. Great photos! 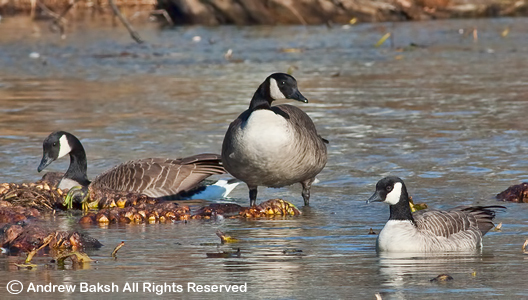 Have you participated in a Christmas Bird Count yet? I'm curious to hear about your findings! 3 great shots. I can clearly see the different shape in the head and the shorter bill. 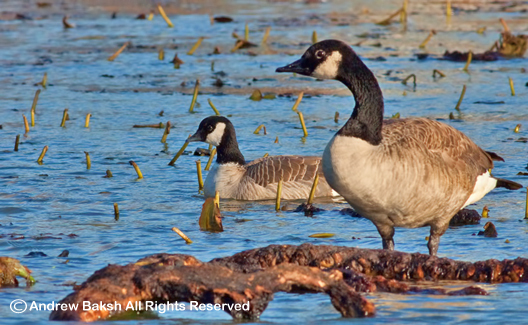 I will guess a cackling goose. The head seems rounder then the Richardson goose. I have never identified one of these before. Thanks vor the opportunity to try. @Frank - This post was solely dedicated to our conversation we had about Cackling Geese. I hope it helped some and I look forward to trying to find one in the field when we are out and about. @Kristen - I have participated in several Christmas Bird Counts and had some really good birds. So good, that I am not at liberty to discuss one particular sighting. I will be posting about some of the counts I participated in.